Senj is the right destination for your vacation? Marijana is the name of this object, located in Senj. This object is 900 m of air distance away from the sea. During the summer days, look for refreshments for yourself and your family on the beach that is 900 m away from the object. The beach is: rocky, pebble, larger rock fragments and concrete slabs. To stay on the beach, make sure that you bring towels and protect yourself from the sun with a hat or sunshade, and use a protective cream. Marijana has a secured parking, which is another advantage of this accommodation, and is of crucial importance if you travel by car on your vacation. During your vacation, most people love to prepare fish or meat on the grill for dinner or lunch. And after dinner enjoy the night in a pleasant company. The object "Marijana" has Grill, so if you like barbecues then you will definitely enjoy staying in this object. If you are traveling with a pet then you will be positively surprised because this facility has the option of accepting pets. Pet friendly accommodation - only by prior arrangement with the agency (extra fee paid to host). Any additional questions related to the beach or destination Senj please check with your host because they still know best the location. We wish you a warm welcome to our facility Marijana in destination Senj. 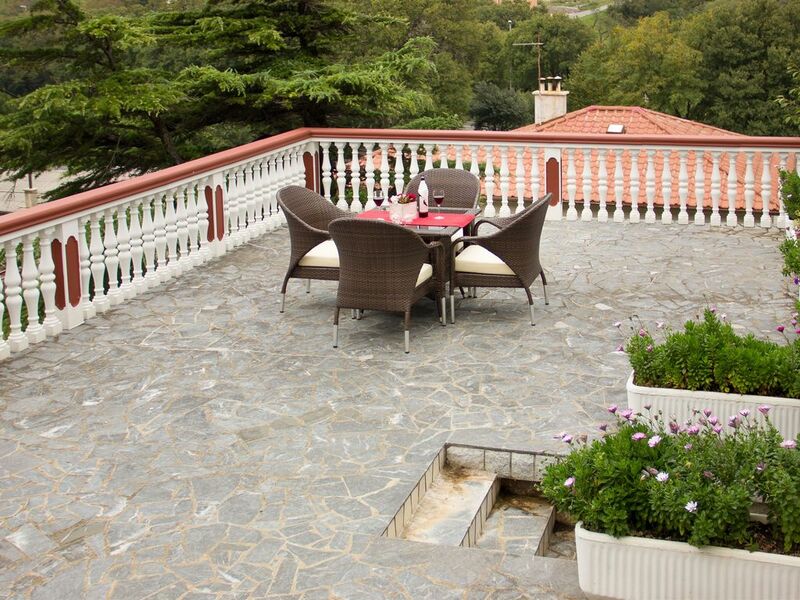 Accommodation Marijana is located 900 m from the sea, 600 m from the center in the town Senj. This accommodation offers a view of the Sea. Type of beach rocky, pebble, larger rock fragments and concrete slabs. Private accommodation Marijana is ideal for 3 persons and has 1 rooms in the accommodation. Accommodation is equipped with: Heating, Air conditioning, Television, Internet, Iron. To make the hot summer days more bearable in the accommodation there is an Air conditioning. Pet friendly accommodation - only by prior arrangement with the agency (extra fee paid to host). It was really lovely and quite place. Wir hatten zu zweit drei angenehme Übernachtungen in der Wohnung. Die Vermieter sind sehr freundlich und hilfsbereit. Von der Wohnung sind zu Fuß es 15 min zum Strand, 10 min zur Festung Senj und zu den Einkaufsmöglichkeiten. Insgesamt können wir die Ferienwohnung vorbehaltlos empfehlen für einige ruhige Tage im beschaulichen Senj. Danke!